Disclaimer: Thanks to our friends at Honey Smoked Fish Company and Mango Publishing for sending product for review to facilitate this blog post. Opinions are 100% my own. The mug exchanges were so much fun! Everyone got a chance to take home a new mug to enjoy during tea time. My friend who loves to shop local, gifted me a beautiful, handcrafted mug from Gather. I just love it! I chose to do a holiday theme as it paired well with the time of year. Also, I love being festive and spreading cheer! My local thrift store was the perfect place to buy decor like matching tea sets, mugs, saucers, cloth napkins, tier stands, a red table runner and this cute sleigh which served as something to hold some of my tea bag selections. Although, I planned to have a variety of tea on hand (along with Mimosas), I created a poll on the Facebook invite page to ask guests: WHAT IS YOUR FAVORITE TYPE OF TEA(s)? Since I received a variety of answers, I decided to serve an assortment of teas like earl grey, english breakfast, mint tea, lemon lift, hibiscus tea and more. My personal fave of the day was Ginger Tea from NC’s own KimBees ! Sandwiches and Desserts are mainly what I served to nibble on while we sipped our tea. I also had a crab balls and coconut shrimp from BJ’s as an appetizer. World Market is my jam for entertaining especially when you want foods that are quick and delicious. For the tea party, I grabbed the last Amaretto cake (another customer put me on to how amazingly good these are..and she was right!) and I randomnly found these macaroons while in line at Ross. I served it on a cupcake stand along with some crackers, cream cheese and pepper jelly. For my savory bites, I was excited to partner with Honey Smoked Fish Company and introduce guests to their delicious and nutritious Honey Smoked Salmon! It is perfect for entertaining because it is fully cooked & ready to eat, fresh and flavorful straight out the vacuum sealed package. Serve it with olives,cheeses, peppers, capers, toast points and you have the makings of a perfect charcuterie board. There are so many ways to enjoy this superfood protein which comes in four delicious flavors: Original, Cracked Pepper, Chipotle & Lime, and Cajun Honey. One of my favorites for entertaining is using it in a deviled eggs recipe. It was a crowd pleaser when I served it as an appetizer for my last Get Hooked on Honey Smoked Salmon at home tastings. After realizing I did not have enough eggs to pull it off this time, I made an egg salad instead and combined it with Honey Smoked Salmon to make a Honey Smoked Salmon Egg Salad Sandwich. DIRECTIONS | Mix ingredients together. Spread on whole wheat or rye bread. Cut into 4 squares. Enjoy! SobeSavvy Tip: Visit their online website >>HERE to see recipes and all the benefits of getting creative using the Superfood ingredient of Honey Smoked Salmon! Take a look at these fun facts! No matter what I am hosting at home, I like to give guests a thank you gift. Just a little something to take home and remind them of the wonderful time we had together. This time everyone received a book from award-winning blogger of The Cup of Life, Lu Ann Pannunzio, titled TEA-SPIRATION Inspirational Words for Tea Lovers. This book is “steeped in wisdom” and aims to create a quiet movement where one can experience devotions, comfort, inspiration and the simple joys of life while reading and sipping a warm cup of tea. It is such a unique gift for women as we all need to be reminded to slow down and relax from the daily grind. My friend and tea partner in crime has already made TEA-SPIRATION book a part of her daily ritual! Love it! #SobeSavvyGiveaway | Do you love tea or know someone who does? I would like to gift you a book of your own to keep or share! Winner chosen by random.org on Wednesday Jan 9, 2019 at noon/EST! Thanksgiving Weekend 2018 has ended but not without making memories in Charlotte,NC. Me and my #HeighPartyof3 drove 2.5 hours to kick off our holiday season in the Queen City and had such a great time! I wanted to share some of the highlights from our visit to inspire other families who may be traveling there soon. Check out my Family Travel Guide|Where to Play,Eat,Stay for the Holidays in Charlotte,NC. Discovery Place, located in Charlotte’s Uptown area, is a wonderful hands on learning complex about technology, nature and science. Spread out over 3 floors, families can spend the day here exploring and having fun. Watch an IMAX feature, Touch a Starfish, Create Art with a hot glue gun, and Dance while learning how the muscles move in your body! There is plenty to see and do like looking at our skin cells under a microscope, crossing a rope bridge in the rainforest, playing the secret scents game and so much more! Discovery Place lets kids of all ages experience learning thru play. It is a great way to spend a fun day! To see more, watch youtube video>>here. Charlotte Speedway is the annual home to “Speedway Christmas”. Every year thousands and thousands of lights takeover the infield and stands at this iconic racing venue. We got a chance to actually drive on the racetrack which my husband loved! Tune in to their own radio station and listen to Christmas tunes as you take a slow drive for a few miles. We enjoyed partaking in the tradition of seeing the unique sights and creativity used for the dozens of displays. Guests can stop at their Christmas Village for snacks, rides and shopping. Speedway Christmas is a seasonal, holiday event held at Charlotte Speedway. So pack the family up in the car and have your chance to drive on the speedway to see holiday lights! Pay one price per vehicle and sit back, sing Christmas Carols and Enjoy! Take a look at my youtube video and enjoy some of light displays at Speedway Christmas! SobeSavvy Tip: It is recommended that visitors come in early in the season as the lines tend to get longer the closer they get to Christmas. Also going on a Thursday or Sunday night is best as the Village is open and movies are shown on the Speedway TV. On Dec.9 bring 5 Food Lion brand non-perishable food items and get $10 off admission! 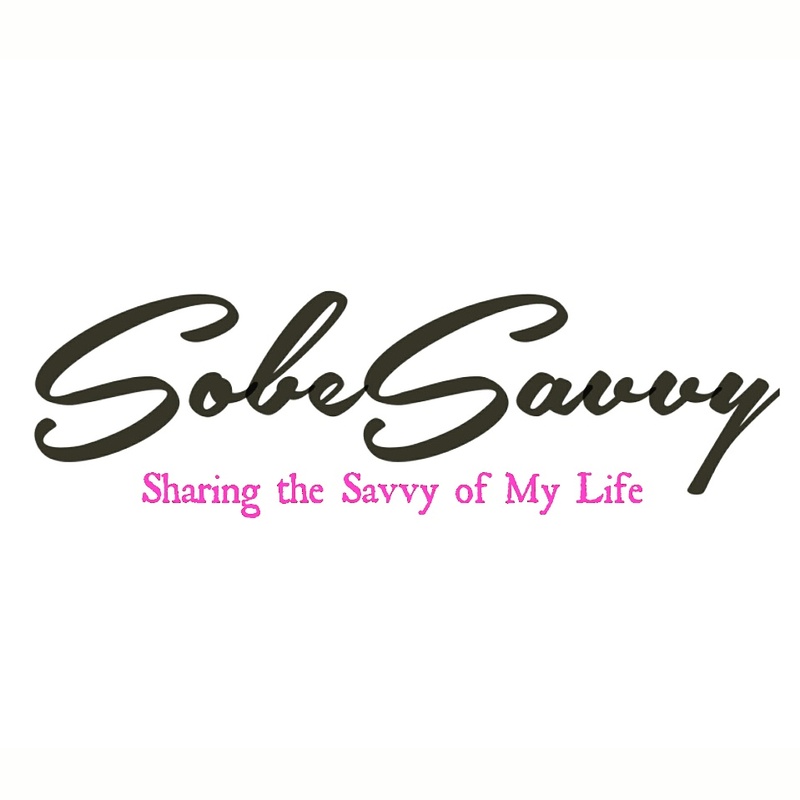 SobeSavvy Tip: Now through December 31 they have a special Gift Card Promotion. Buy a $50 Gift Card and receive a $10 Bonus Card! Just ake a look at my photos featuring good food and good vibes from our dining experience at Piedmont Social House >>here and you’ll want to give or get a gift card to this restaurant! With so many restaurant choices around Southpark Mall in Charlotte, it can be hard to find something that is actually different. One in particular that stands out from the rest is The Cowfish Sushi Burger Bar. Creative cocktails, innovative sushi rolls and awesome burgers is what ypu can find here. My daughter loves their kids menu choices, which comes with a Cowfish tattoo! Service is excellent and if you can, save room for dessert. See more drool worthy photos from our visit >>here and be sure to dine at The Cowfish when visiting Charlotte. SPECIAL..MAGICAL..MEMORABLE, Those are three words I would use to describe our visit to the American Girl Store/ Bistro. On Sunday, my #Heighpartyof3 enjoyed ‘Holiday Tea’ and each other during this event. Our #outandaboutAva and Luciana got all dolled up in their matching red velvet dresses for the special occasion! It was so darling! Girls got to visit the hot chocolate bar, play with a paper doll craft and we all had a chance to eat savory bites/sweet treats. Check out more photos from the Holiday Tea event>>here to see some of the holiday memories we made at this special in-store experience. With all the attention to the little details for girls and their dolls, it was a visit our daughter will never forget! The Hampton Inn & Suites was a wonderful place to stay during our Charlotte visit. It is located at The Phillips Place Shops area and is within walking distance to many restaurants and even has a Whole Foods next door. The immense Southpark mall is right down the street. It has a stately lobby and public areas. Large modern and stylish suites awaits visitors. I loved the built in TV vanity mirror feature of our suite. There is complimentary Valet Parking and of course the Hampton Inn breakfast gets you ready for another day tackling the Queen City. Make this your property of choice on your next visit to Charlotte! As you can see, Charlotte is one of those cities in North Carolina that no matter the length or purpose of your visit, there are so many options for families. You can play, eat, stay and have fun along the way! Planning to visit Charlotte this season? Which one of these places would be on your list?